1992 AB 2691 - Driver’s Licenses (Chapter 865, Statutes of 1992)2 AB 2691 allows someone other than a youth’s parents or guardians to sign the youth’s application for a driver’s license. Probation officers and social workers can sign a driver’s license application without liability for any accidents or tickets the youth may incur. Any other person who signs the application will be jointly liable with the youth for any damages resulting from the negligent or wrongful act of the youth in driving a motor vehicle. There is hereby established the Foster Family Home and Small Family Home Insurance Fund within the State Department of Social Services. The fund shall consist of all moneys appropriated by the Legislature. The department may contract with another state agency to set up and operate the fund and perform such other administrative functions as may be necessary to carry out the intentions of this article. 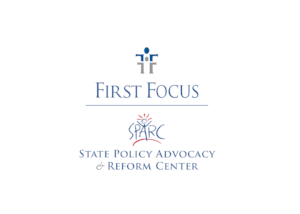 The purpose of the fund is to pay, on behalf of foster family homes and small family homes, as defined in Section 1502, claims of foster children, their parents, guardians, or guardians ad litem resulting from occurrences peculiar to the foster-care relationship and the provision of foster-care services. The fund may sue and be sued.